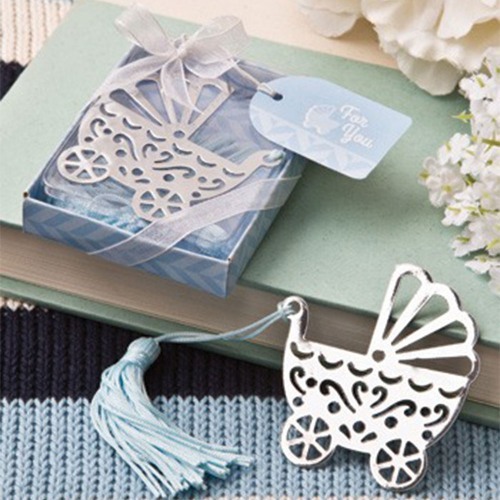 Your baby shower guests will adore this detailed baby carriage bookmark! With an intricate cutout design and satin tassel adornment, this is not just a practical favor - it's stylish too! It's metal design also makes it durable so your guests can enjoy this bookmark for years to come. Each bookmark even comes individually packaged in a coordinated box with a clear top for show and is wrapped in white organza ribbon with a pretty bow.